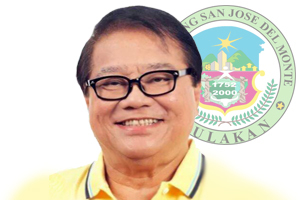 City of Malolos - Former Bulacan Fourth District Congressman Angelito ‘Lito’ Sarmiento, also a former mayor of San Jose Del Monte, suffered a heart attack while testifying in court in Malolos City, Bulacan. He was rushed to the nearby Bulacan Provincial Hospital where he was pronounced dead around 11:00 a.m. He was 68. Sarmiento was at the witness stand before the sala of Judge Isidra A. Maniego of the Regional Trial Court of Bulacan—Branch 7 during the continuation of his direct testimony in connection with the civil case for damages he filed against Smartmatic-TM when he suddenly complained of dizziness. Sarmiento filed a civil suit against Smartmatic after his own vote was not counted by the PCOs machine during the 2010 elections where he lost to Mayor Reynaldo San Pedro. Court interpreter Ariel Benedictos and court interpreter Ely Miclat Jr. said Sarmiento just stopped his narration and fell to the left-side of the railing guard of the witness stand. Court Sheriff Boyet Villarente said Sarmiento regained consciousness after about a minute as other court personnel rushed to bring him a glass of water while court aide called for an emergency ambulance. Sarmiento again had a seizure and was immediately carried by Villarente and court aide Jummy Pascual to the ambulance and taken to the emergency room of the Bulacan Medical Center. Sarmiento never regained consciousness.